This book revolves around two focal points: freedom, and Basic Income; and it might best be understood as a meditation on the relationship between them. The introductory first chapter outlines what a Basic Income is and how it would tackle poverty, unemployment, and the quality of employment, and how it would enhance an individual’s freedom: freedom within the household, freedom in the employment market, freedom from bureaucratic intrusion… The relationship between ‘universal’ and ‘unconditional’ needs more work, and a Basic Income that varied across a country would not achieve the kind of redistribution that the authors would like to see achieved across Europe in chapter 8, as it would be conditional and therefore not a Basic Income, and would pose considerable practical difficulties: but otherwise this chapter offers a reliable discussion. Persistence with the significant amount of detail will reward the reader. Chapter 2 discusses such alternatives as Negative Income Tax, Earned Income Tax Credits, and wage subsidies, all of which fare badly in a variety of respects when compared to Basic Income. Basic Income is preferred to a Basic Endowment because it protects our lifelong freedom against freedom badly exercised in our youth; and a reduced working week is criticised on the grounds that it would control the number of hours of paid employment that we were permitted to work, whereas a Basic Income would enhance our freedom at the same time as offering the possibility of a shorter working week. 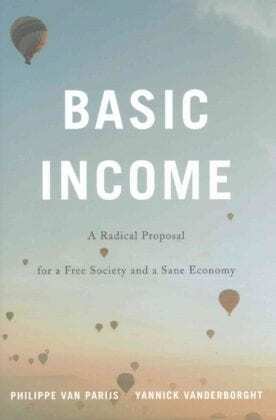 A Participation Income ought to have been tackled here as an undesirable alternative to Basic Income rather than later in the book as a feasible step on the way to Basic Income. The following two chapters contain some of the relevant history: chapter 3 the history of social insurance and means-tested benefits, and chapter 4 the history of the Basic Income debate. Then chapter 5 argues that a Basic Income would be both ethical and just, with both of those criteria focused on the notion of individual freedom, and in particular on the freedom not to seek paid employment. Among the dialogue partners are John Rawls, Ronald Dworkin, Amartya Sen, Brian Barry, and Karl Marx. This is a chapter that the ‘philosophically inclined’ (p.113) reader will greatly enjoy, although whether the unphilosphically inclined will find that it satisfactorily answers the objections to Basic Income listed at the beginning of the chapter is an interesting question. Rather more likely to do that would be the fact that the lower marginal deduction rates that a Basic Income would deliver would make it more likely that someone would seek paid employment, not less. More practical considerations are permitted to intrude when a land value tax is found to be impractical; and the reader is plausibly counselled to seek a more just society rather than a happier one. In chapter 6, on funding, experiments, and transitions, there is a usefully detailed discussion of the different marginal deduction rates that would be experienced by individuals at different points on the earnings spectrum if income tax rates were raised to pay for a Basic Income. The discussion suggests that such increases need to be kept to a minimum. A variety of natural and constructed experiments are discussed, and the difficulty of employing their results in debate on Basic Income is well argued. There is an equally useful discussion on the difficulty of transferring labour market models and empirical results from contexts within current tax and benefits systems to the context of the Basic Income debate. A number of taxation options are discussed: taxes on capital, on land, on other natural resources, on financial transactions, and on consumption. When the authors turn to implementation options, they correctly recognise that a ‘partial Basic Income’ (which ought in relation to their original definition of Basic Income to have been called a ‘small Basic Income’) would need to be the first step. They then consider options for how such a Basic Income might be implemented, and suggest that implementing it first for a single age cohort would create unfairness between cohorts (p.160). However, if the Basic Income replaced income tax personal allowances and other benefits then members of the relevant cohort would not necessarily receive any immediate financial advantage, and any perceived unfairness relating to a Basic Income’s various advantages over existing benefits systems would result in pressure to extend the Basic Income to neighbouring cohorts. This implementation method has more to be said for it than the authors realise. Chapter 7 tackles political achievability. A survey of opinion poll results finds the public broadly in favour, except for Swiss, most of whom voted against the referendum resolution on Basic Income because they were not convinced that it would be possible to pay for the high Basic Income recommended by the campaigners. The chapter goes on to find growing understanding of the advantages of Basic Income among trades unionists ( – the UK’s Unite receives an honourable mention). The complexity of feminist, socialist and Green Basic Income debates is well understood. Somewhat incongruously the UK’s Liberal Democrats and Charles Murray are located together in a section titled ‘Liberals’. Separate sections on ‘Liberals’ and ‘Neoliberals’ would have made more sense. Similarly, the section entitled ‘Christians’ should have been two sections: ‘Christian Democrats’ and ‘Christians’. Social movements such as Occupy and the movement that promoted the European Citizens’ Initiative on Basic Income are correctly seen as significant locations for future debate on Basic Income. The latter half of chapter 7 evaluates social policies that the authors believe would be useful steps on the way to a Basic Income. They recognise that a Participation Income (an income conditional on the recipient’s ‘participation’ in society) would face administrative challenges, and believe that these would result in the participation condition being phased out. They would not. The participation-testing of the entire population would be so unpopular that the Participation Income would soon be abolished along with any thought of it becoming a Basic Income. A Negative Income Tax, which the authors also believe could be a step towards a Basic Income, could suffer the same fate. As the authors recognise at the end of the chapter, the only viable first step on the way to a Basic Income would be a Basic Income paid at an easily fundable level to a single or multiple cohorts. Unfortunately, the last line returns to the possibility of ‘participation’ conditions. The temptation to suggest this should be resisted. Both chapters 6 and 7 contain material on implementation routes. To have brought this material together into a single chapter titled ‘roads to Basic Income’ would have been helpful. As it is, issues relating to implementation look as if they are of secondary significance. They are not. They are where the debate is now going. Chapter 8 ponders the difficulties that globalisation, immigration and emigration could pose for a Basic Income in a single country, and the authors speculate about the possibility of a global Basic Income. They suggest that a Europe-wide Basic Income funded by a financial transactions tax or a carbon tax would reduce the economic pressures that give rise to migration within Europe, and would therefore reduce levels of migration, and make it more likely that freedom of movement would survive. Such a Basic Income would also help to preserve the Euro’s viability. This book is a triumph, and will remain the definitive liberal argument for a Basic Income for many years. At its heart is a utopia in which every individual experiences the maximum possible freedom, and Basic Income as a means to that end. ‘Equality’, ‘inequality’ and ‘social cohesion’ are missing from the index, and Basic Income’s promise of a more equal and more cohesive society might have been given a little more attention alongside the ubiquitous emphasis on individual freedom: but readers from a wide variety of ideological commitments will still find this book useful. It is well written, well referenced, and generally well organised, and it tackles many of the issues central to the current debate. There will be a lot more books on Basic Income, as there should be given the increasingly diverse and widespread debate. Some of those books will be from the same standpoint as this one, others will be from a different ideological standpoint, and some will be from a more pragmatic point of view. Whatever standpoint they come from, they will find it difficult to exceed the intellectual quality of Basic Income: A radical proposal for a free society and a sane economy.